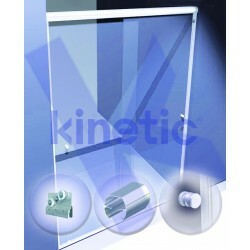 innovation in systems and components for glass and aluminum. It began operations as a manufacturer of hardware for aluminum doors and windows. subsequently making cancelería for bathrooms included. The kit sliding door bathroom, most recognized in Latin America and the ideals accessories on their doors. They are elements and accessories that can be purchased without prior quote or technical support since they are normally stocked. 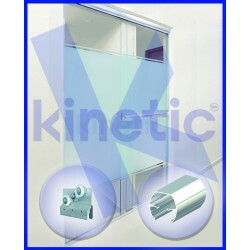 Kinetic designs and manufactures the widest range of solutions for glazing project of any magnitude. Functionality, quality and warranty on all our fittings more aluminum profiles used in Mexico. In order to make easier your search, we provide you a list of the featured products. Currency is indicated in the menu bar.